Spring in North Carolina is simply perfect. Before the hot, humid days of summer, we have several blissful weeks of mild temperatures, sunshine, and vivid displays of blooms. Get out and enjoy it while it lasts! 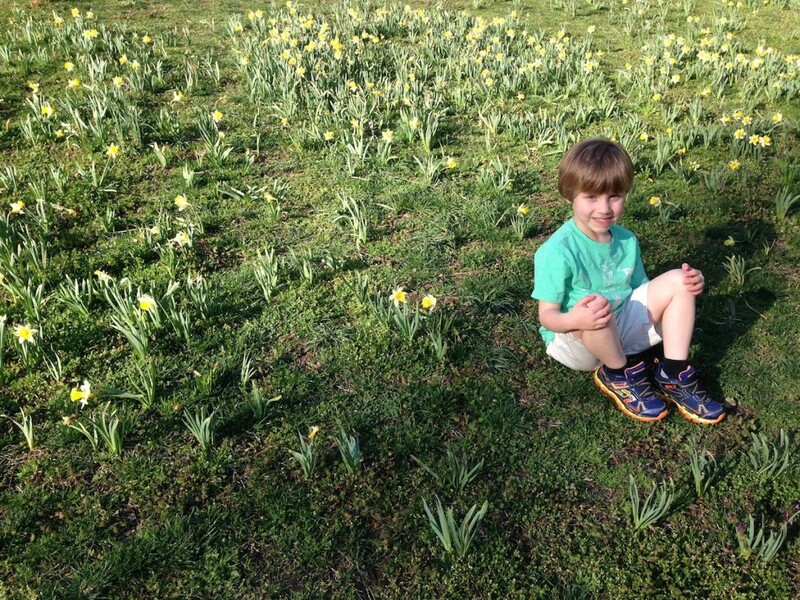 Check out these spots for some outdoor family adventure and spring flower viewing. There are so many places to see flowers in the spring in NC, this list is just the beginning. 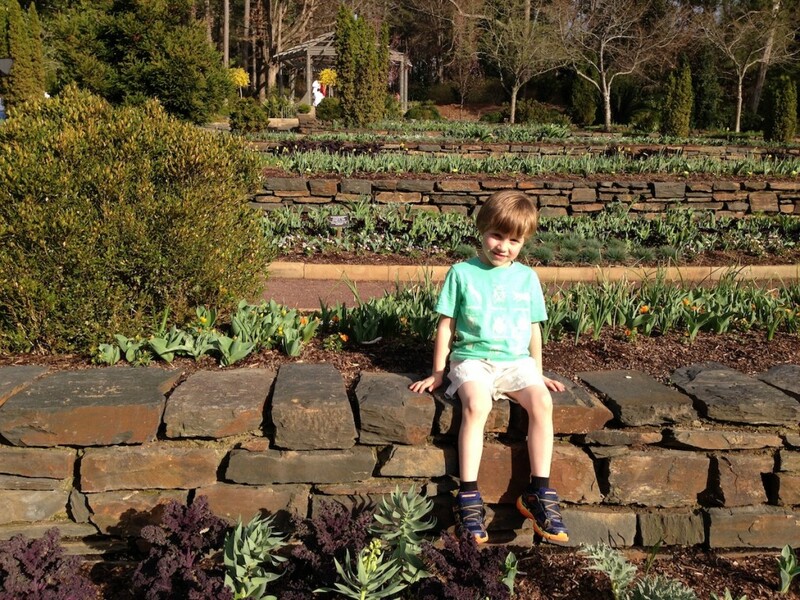 My 6-year-old son’s favorite place in the world is the Sarah P. Duke Gardens in Durham. It has everything a nature-loving kid could ask for – an enchanting bamboo forest, a pond full of colorful fish and lily pads, and hills and open meadows to run around. And the flowers! On a visit this month, we saw everything from the good old spring standby, the daffodil, to the exotic paperbush and the striking lilac daphne. You can check out what’s currently in bloom and plan your own visit to explore the 55 acres of gardens in the heart of Duke University. They also have a lot of great family activities this spring. 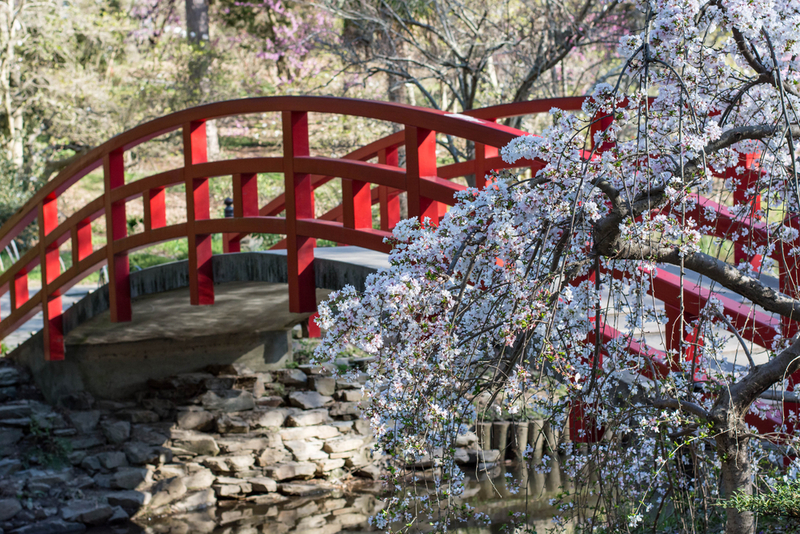 Chapel Hill’s North Carolina Botanical Garden is another Triangle-area spot to get your springtime on. The North Carolina Botanical Garden comprises more than 1,000 acres, including 10 acres of display gardens and a number of natural areas. They have a calendar full of events for the entire family. You can also hike on the nearby Piedmont Nature trails, which sounds particularly lovely in the spring with redbud and dogwood trees along the paths. You can’t talk about Duke’s and UNC’s gardens and not mention N.C. State’s. It’s just one of those North Carolina things. 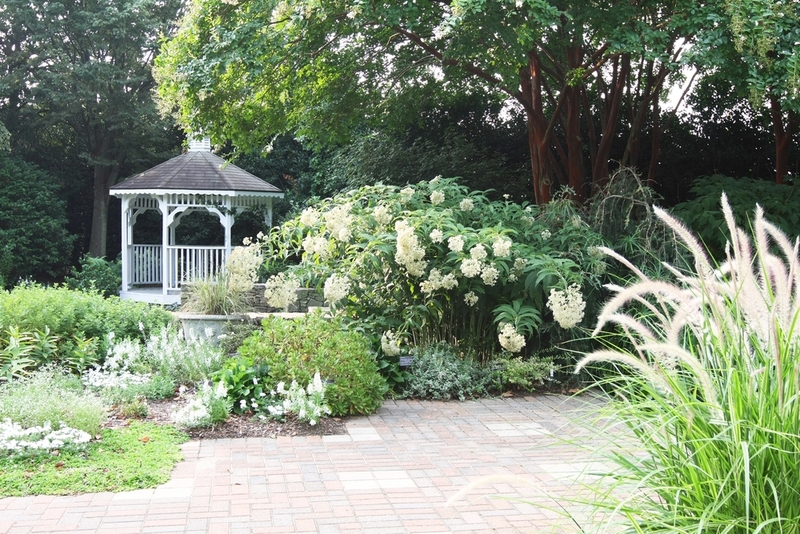 The JC Raulston Arboretum is nationally acclaimed with one of the largest and most diverse collections of landscape plants in the Southeast. Their calendar boasts events nearly every day of the week. 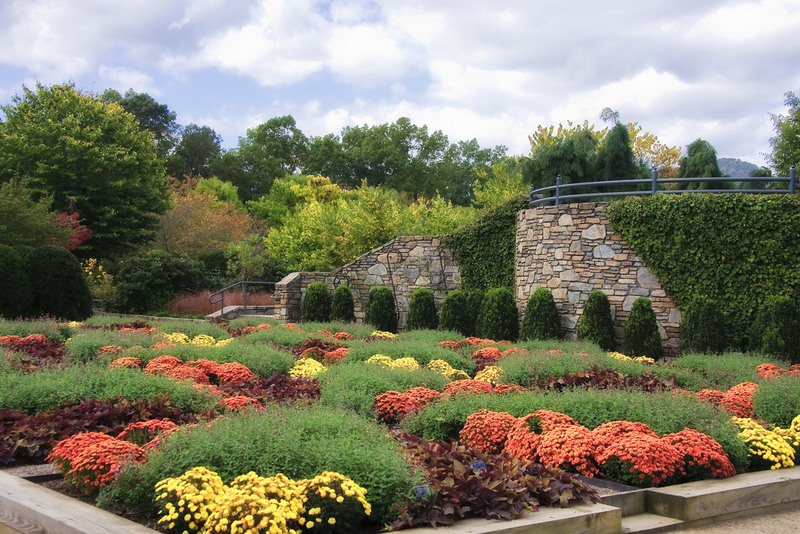 There are several different gardens at the Arboretum to discover – some of which were designed and built primarily by students in landscape horticulture classes at N.C. State. If we’re being honest, there’s probably no prettier place in North Carolina in the spring than Wilmington. 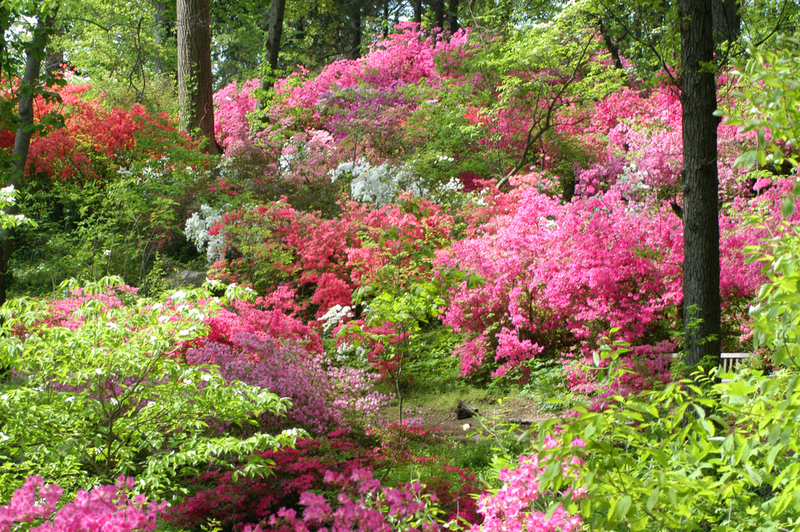 They have the annual Azalea Festival (this year it’s April 6-10), and there are oodles of those beautiful, blooming bushes in this charming coastal town. If you’re planning a visit to the beach, check out Airlie Gardens. They have gardens, wildlife, historic structures, walking trails, 10-acres of freshwater lakes, more than 100,000 azaleas, and the 467-year-old Airlie Oak. You can even check out out what’s in bloom right now. Wilmington may be lovely, but so is Asheville. But I’m not taking sides, as I love both ends of our state (and the middle, too). The North Carolina Arboretum contains 65 acres of cultivated gardens including one of the finest bonsai collections in the United States. There are tons of hiking trails, cool stuff for kids, and a variety of gardens. In one garden there’s even a model train that demonstrates the coming of trains to western North Carolina at the turn of the 20th century. And if you’re already in Asheville, check out the loveliness blooming right now at the Biltmore Estate. There are gardens in every corner of North Carolina. Grab the family and enjoy all the state has to offer. You can find places to see flowers in the spring in NC from the mountains to the coast, and maybe even in your own back yard.